Here in Texas, it's hard to believe that tomorrow marks the beginning of December! It's a sunny 64 degrees and there's no sign of Jolly Old Saint Nick in sight! We needed something to get us into the holiday spirit, and what better than a festive project? We peeked inside the pages of the Holiday Wishes book from It's Sew Emma! After deciding on a project, we were only left with the dilemma of which fabric collection to choose! 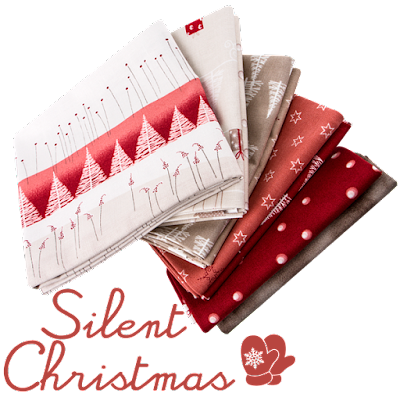 We pulled a couple of our new Christmas favorites...but we still need your help! Which one should we choose? 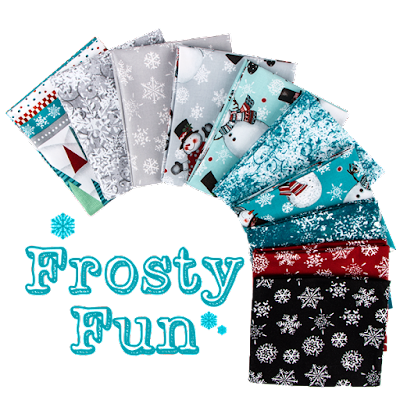 Frosty Fun for some of our favorite Christmas themes or should we mix it up with the Silent Christmas collection?